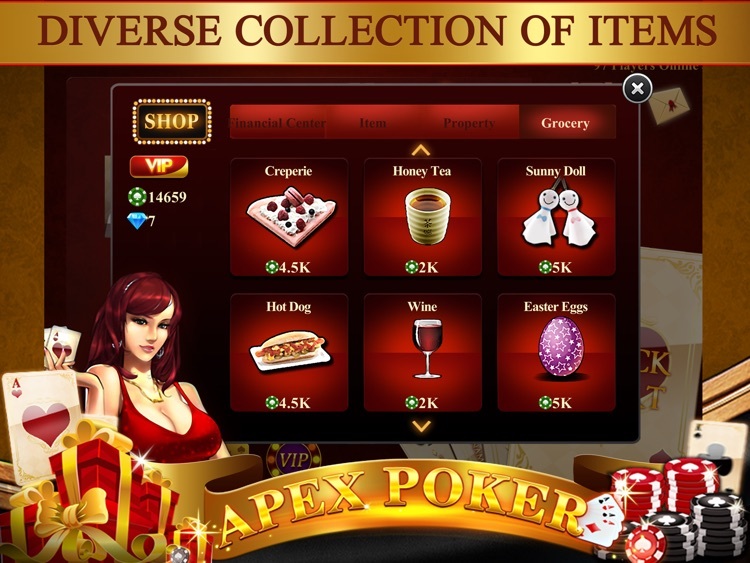 Play Texas Hold ‘em Poker with your facebook friends and TALK WITH THEM! 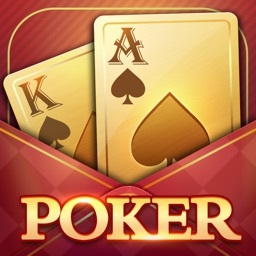 The best Free Poker game ever! 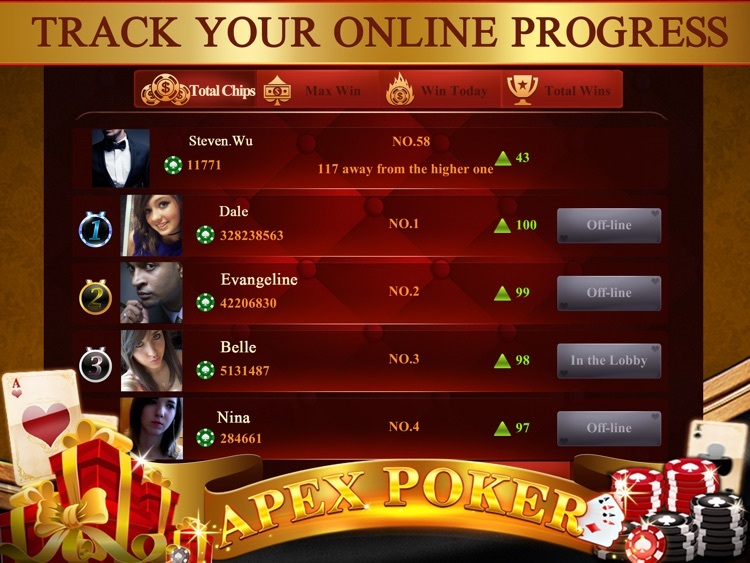 – enjoy our Poker game now live online with players from around the world! 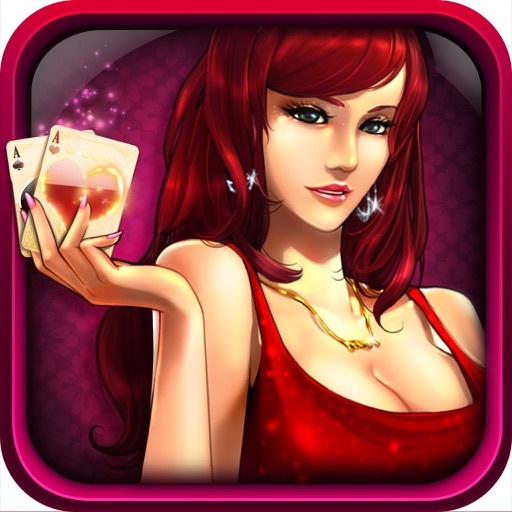 There’s always a table waiting for you in this exciting Texas Hold ‘em Poker game! 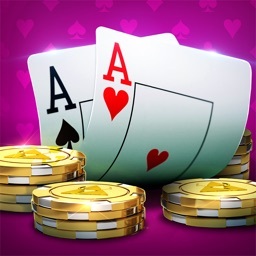 In Free Poker-Texas Hold ‘em you'll meet and interact with hundreds of people and be able to exchange VOICE messages and interactive emoticons in real time, whether they're in your city or another hemisphere. 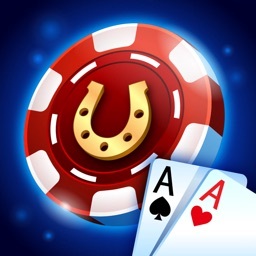 In Free Poker-Texas Hold ‘em we think you'll agree that these rich and unique social features combined with a robust feature set equal a royal flush! 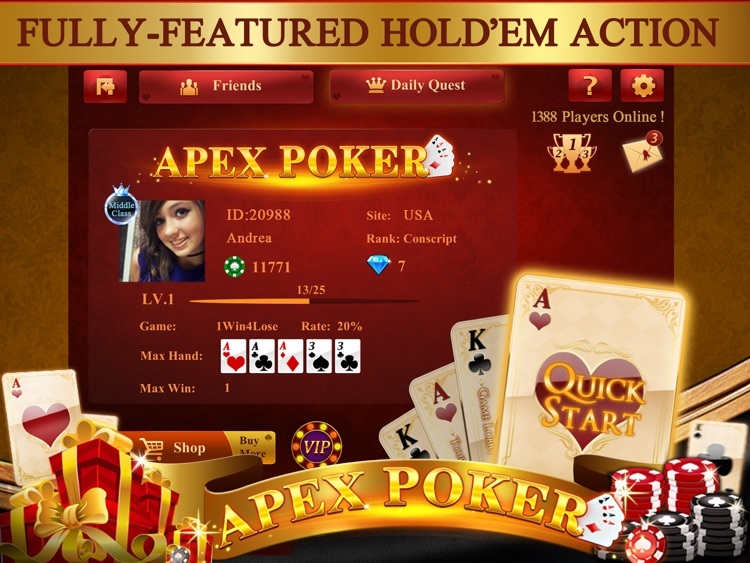 * Instant-play with optional account registration- Faster Poker with NO wait times! 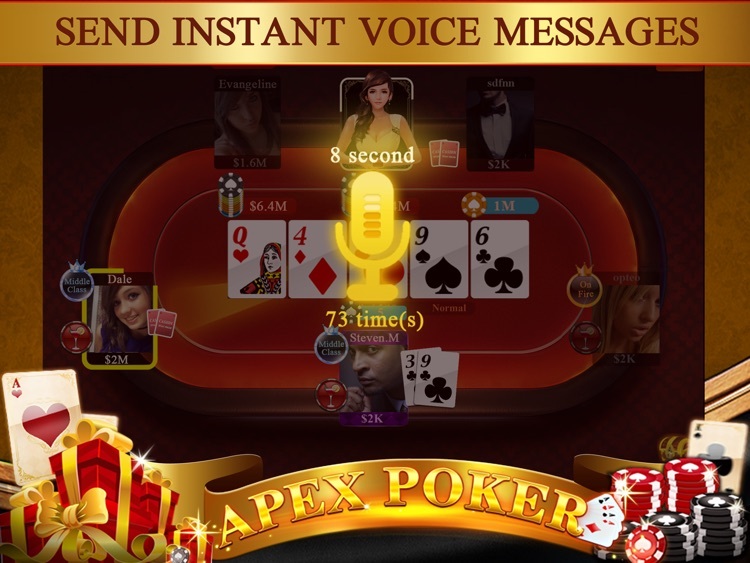 * Robust voice chat functionality, allowing simultaneous play and chat-TALK about Poker! 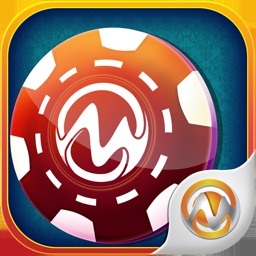 * A richly-featured rewards system that allows you to win big-Play for FREE& - Gift FREE poker chips! In short, we think you'll love it! 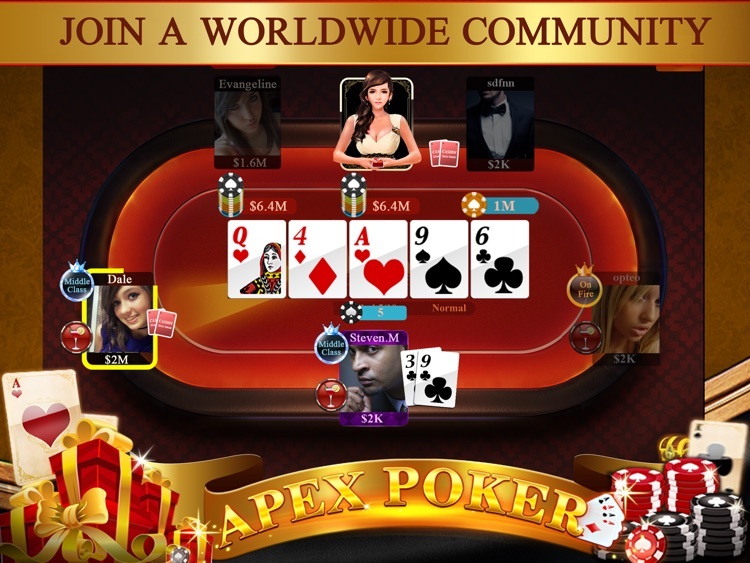 Please note that Free Poker requires an internet connection.